Along with Kevin Long, he played in a behind closed doors game on Monday and today both were in the side that faced a Manchester City team with the Clarets winning the game 6-2. There was a further boost too for manager Sean Dyche with four of the six goals coming from summer signings. Rouwen Hennings scored twice with both Chris Long and Daniel Agyei on the scoresheet along with Brad Jackson who has graduated from the youth team this summer. But the great news is that Marney, who has been so missed and incidentally scored his last goal in the 3-3 draw at Birmingham, has taken a further step forward towards full fitness. 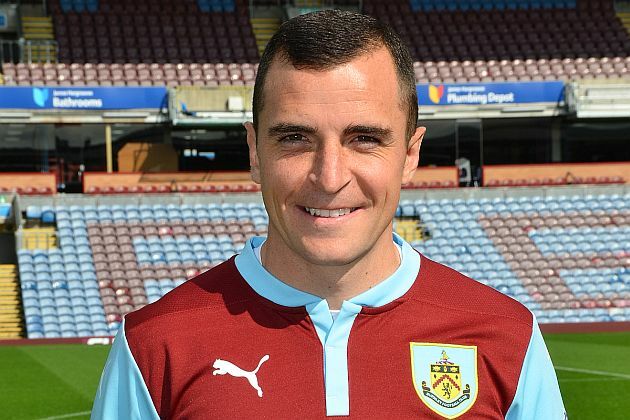 The Burnley team was: Matt Gilks, Matt Lowton, Tom Anderson, Kevin Long, Luke Hendrie, Aiden O'Neill, Dean Marney, Brad Jackson, Matt Taylor, Rouwen Hennings, Chris Long. Subs: Danijel Nizic, Trialist, Alex Whitmore, Brandon Wilson, Renny Smith, Jamie Frost, Daniel Agyei, Ntumba Massanka.